One of the greatest pleasures of working with a rockstar bunch at NPM is the opportunity to sit under teaching and wisdom from leaders who are being used by God to change the world. I especially enjoy it when we get to have some good food at the same time (nothing brings people together like food, right?). Yesterday, I had the pleasure of sitting down with Stephen Redden (Twitter) who’s the Director of Community Groups here at NP and grabbed some tasty grub at Chipotle while spending a good deal talking about how God’s been moving in his life and where God is taking him next. For a very quick and brief overview, God has seen fit to take Redden, Jason Malec, and Norton Herbst (no Twitter?) to Colorado to start a new strategic partner church plant called New Denver Church. Launching in early 2009, they hope to engage deeply into that area and grow the knowledge of Christ among the people there. One particular thing that we discussed is how the ministry can also successfully engage using online technology. 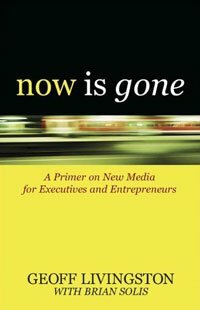 Inspired by that discussion, here’s some top tips that I’ve poured through a “church” perspective (leveraging Brian Solis, principle at Future Works, and a marketing and PR guru for the internet who has also authored a must read for ministry leaders, especially those that are “new to the game”: Now is Gone.) for any ministry, both old and new, to consider, especially from a Public Relations perspective. Public Relations is the practice of managing the flow of information between an organization and its publics. PR can be used to build rapport with employees, customers, investors, voters, or the general public. This is pretty important one, which I’ve already mentioned in a number of previous posts, the most recent using Google Alerts for Ministry. The fact is that you’re the new guy. And unless you’re planting something that represents Acts 1:8 “ends of the earth” type scenario… there’s already a bunch of ministries there already. In addition, “stories” are being told, especially on the online space. These stories are both “good” and “bad” (and some are really bad). Hopefully, the Gospel is part of the story. But here’s the point: The Gospel is already being preached there. It’s already being “preached” somehow online. But that doesn’t make your ministry insignificant, but neither does it make your ministry newsworthy. So go back to the Biblical Narrative approach. This means that the story is everything. From a PR perspective, make the story the center focus, make it rich, compelling, and engaging. Make it good enough to talk about. Then bloggers, journalists, and traditional media will come to you. They’ll write about you, and they’ll do the PR for you. PR might not necessarily be the first thing that a planting church thinks about explicitly, but they are sure thinking about it. Pragmatically, they’re thinking about building support, finding a place to grow, initial gatherings, time tables, etc. What’s nice about the online PR is that it doesn’t take that much (and if you weave it into your story it’s practically easy cakes). But choosing the right person for the job is essential. Anyone can do it, but you get what you pay for essentially. For most ministries, paying for a professional PR firm is simply out of the question and doesn’t really make sense, so keeping it inside the walls and having someone already on staff (or volunteers) is really the only route. Some things to consider though: Does this person know a thing or two about online media? Is this person “participate” in online social media or is this person a “creator” of online social content? Are they “technologists”? Do they understand the “mission” and “vision” of your ministry and can translate that to the online space? Can they “sell” your ministry online? And this is probably one of the biggest, because skeptical journalists and bloggers alike will not buy it, will not talk about it, will not blog or write about it unless they receive the same unadulterated mission and vision (product). Finally, do they have the time, energy, and perseverance to do it. Online PR and media takes a whole lot of it. Reach out. Introduce yourself to the blogger and online community in which you find yourself (or where you’ll find yourself). Find the digi-peeps that are “influencers”, team up with other ministries that are in the online segment, create that cool word called “synergy”. Sound familiar? It’s called “networking”. And it works. It’s probably the single-most important and powerful thing you can do that will give some returns that are worthy of praise. But note, this also can be a huge time-bandit… so watch yourself. Read blogs, comment on articles, create posts in Facebook, capitalize on flickr, delicious, technorati, digg, and a host of other online mediums that are aggregating content. This helps you develop capital, social ministry capital. And if you can take it one step further, meet these people in the real world. Face to face. You’ll grow your ministry “brand”, your digital outpost, and extend your small (or none existent) marketing budget into something worthy of discussion at the budget meetings. Participation is crucial. It also makes you very, very searchable. Do not deny the google-monster. Apparently, according to countless studies, the shotgun-approach to viral marketing doesn’t work (and that’s also due to the fact that “viral” marketing isn’t really about carpet-bombing the internet). One simple way is to identify target audiences, and then dig[g] in. Observe, document, do your research, and then engage. Establishing these boundaries will actually help you get deeper into the conversation, help you reveal new ministry partners and key leaders, and help you get track growth of your internet initiative. Identify the “voices” that are out there and begin to establish spiritual influence. It’ll grow, but how can you measure growth if you don’t have a target? Now more than ever, it’s important to realize that there is no “one” audience for your story. Influence is usually a left-to-right process that picks up momentum and mass attention along the way. It fans out in the process. This step allows you to identify which voices, blogs or media outlets reach your target audiences right now and at every step of your growth (you’ll see that your audience evolves along with your company). This one’s pretty simple but very important. Establish a schedule of engagement. Whether it’s a schedule of blog postings, a scheduled time during the day to comment on other blogs and articles, a systematic approach to feeding content to aggregators or news feeds… whatever it is in the online space, establish a rhythm to it. This is one of those things that makes sense to everyone but isn’t really followed. It’ll help you cut out waste and also help establish metrics for control and success. It’ll also help get you out of the office and doing other very valuable things (like family… perhaps?). Once you’ve begun to identify key people in the surrounding area and/or ministry focus pay even closer attention to what they are really about. Not everyone who has a voice is always aligned with your ministry strategy, mission, or vision, and engaging them wrongly can actually be detrimental to the health of your org. You can go as deep as you’d like to on this one but it goes without saying: “Guilty by Association” in the online space happens all the time, just like it does in the real world. Perception is everything. Do the legwork and the outreach that contributes to the reputation you wish to earn and maintain. Anything less takes away from it. Establishing and creating metrics for success is important and this is probably what you’ve already done. Your ministry is here to do X, Y, Z. Is X, Y, and Z being done? If your mission as an org is to (this is an example) bring one person a month to the knowledge of Jesus Christ and your getting a million PVs a day but not one person is being saved… Is that being effective? This can be a bit muddled but the point is that coverage and PR alone will not bring the desired results that ultimately you’re about. Not being successful? Be willing to be wrong and be willing to change your approach from a PR and digital media perspective. Not all styles fit to the culture in which your engaging. Analyze, measure, process, rinse, and repeat. Try to personalize and customize the content and news that you create. This, for one thing, makes the information more digestible for your readers and makes it easier to share it with others. It also makes it wildly memorable. Keep it focused and to the point. Use bullet points and package it differently for different industries, verticals, and target audiences. Get into their world when you create digital PR and, if you can, use media, like screenshots, videos, etc. Thankfully, technology has afforded us the ability to be highly creative and personal without having to do much more work in the back end. Technology is useful… so use it! Strategy #9 – Blog. Period. And Respect the Power. First, don’t under estimate it. Second, don’t over estimate it. A blog is the voice and the soapbox for thought leadership, vision, solutions, milestones, and advice. At the very least, it contributes to the personality of your corporate brand. The best blogs become a resource and a destination, which helps improve your bottom line. For example, Google’s official blog is number 16 in Technorati’s Top 100 list of popular blogs. In a world of building relationships with bloggers, reporters, analysts, partners and customers, your strategy simply can’t rely on only contacting everyone when you have news. Relationships require cultivation and nurturing. The company blog can help. In addition, comment a lot. If you get one comment, give it back. This is huge. Don’t forget, especially when starting out. Engaging and creating relationships with the “big fish” in the sea is critical and important, but don’t forget that most people that will be talking about your ministry are NOT the “big fish”… they are the much smaller niche blogs that occur in much smaller places on the web. These are just as important. And that’s Biblical! Everyone is important to engage just as everyone is a candidate for sonship. The fact is that the conversations that are happening online are widely distributed and now requires savvy engagement to identify the silos that are relevant (but often overlooked) to reach those that may not naturally or easily be reached. The best communications strategies will envelop not only authorities in new and traditional media, but also those voices in the “Magic Middle” of the attention curve. The Magic Middle, as David Sifry defined it, are the bloggers who have from 20-1000 other people linking to them. It is this group that enables PR people to reach The Long Tail and they help carry information and discussions among your customers directly in a true peer-to-peer approach. And, in many cases, these bloggers are your prospective customers. Their effects on the bottom line are constant and measurable over time. This is all about thinking “long term”. Being innovative is sometimes just as much as using the “old stuff” as creating new relevant forms of communication and strategy. Don’t overlook the Facebook, Twitter, Digg, Reddit, Google, Delicious, Ning, Bebo, Yahoo Groups, yada yada yada yada yada. Also, see if you can find the niche social communities as well that may favor or respond well to your ministry initiative and org. The fact is that although a well thought-out ministry PR engagement online may bring in the numbers and reach those that haven’t been reached, sometimes referals from these beasts with a simple plug in a Facebook Group will do much more. But, again, this isn’t about spam either, so make it relevant and make it count. Listening is just as important as publishing content. I could bring some Scripture in here, but I won’t. A simple reminder to do it. This one is pretty easy but I’ve been surprised how many people do not pray over their online ministry initiatives. With the online space, we need just as much help from the Holy Spirit than any other meatspace alternative. What a blog post. This may just be the longest I’ve ever written… … no, it’s not, but it’s a doozy. There are 17 comments already... Come join us! This is amazingly helpful. Thanks for taking the time to share these thoughts, but moreover thanks for taking the time to sit down with me and enter into our story. I'm continually amazed at how God keeps bringing the people and resources we need at just the right time. yeah, i'm excited to see what God will be doing! WOW!!! Very insightful. This post goes into the Evernote file be digested and applied. Thanks! I would advise anyone who wants to start a blog to begin by reading and commenting on other people's blogs for a couple of months. When I first started advising clients to use a blog, I had them start all at once. The problem arose from the fact that even though I spent a lot of time educating those clients, they never really understood what a blog was. As a result they rarely wrote articles and even when the clients did the blog suffered from the lack of experience. I had to almost start over from scratch. Once I got them to participate in blogs and get in the conversation for a couple of months their own blogs benefited and you could see an improvement. I now advise all of my clients to participate before leading. I have seen how this helps them when they start their own blog. A hard-learned lesson for me and a word of caution for those wanting to start a blog in the future. Thanks for good PR info. ah, the wonderful evernote… you a crazy user of it? i have “yet” to become a convert. wow, that's a solid tip right there… one that I haven't really pushed out so hard, but worth noting… i've found that education is the vast majority of our efforts, especially in the ministry space. it makes sense that it would apply elsewhere. brilliant. makes them feel less… uh.. schoolish? … eh. I was going to try “apprenticeship”, but I do not know how to cobble or put horseshoes on a horse so we are trying out mentoring. No, students please take out your books and turn to page 58. … that makes me have bad dreams. a lot of people are in similar spots. they “find” themselves in charge. how the heck does that happen…. ?